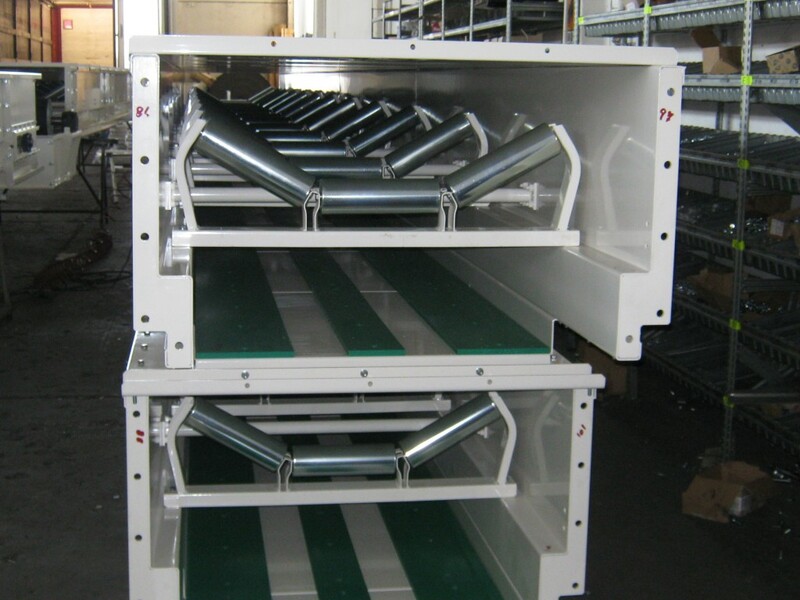 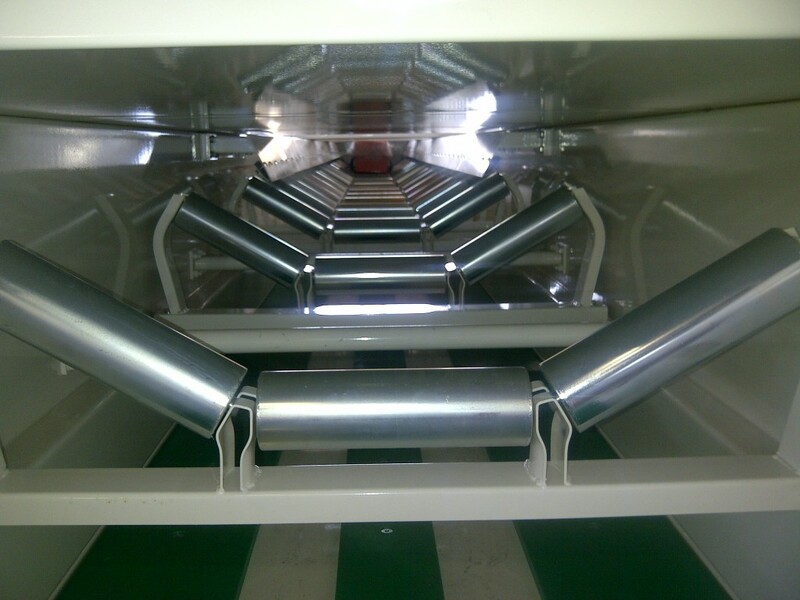 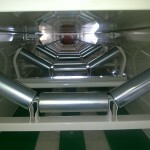 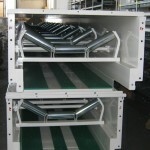 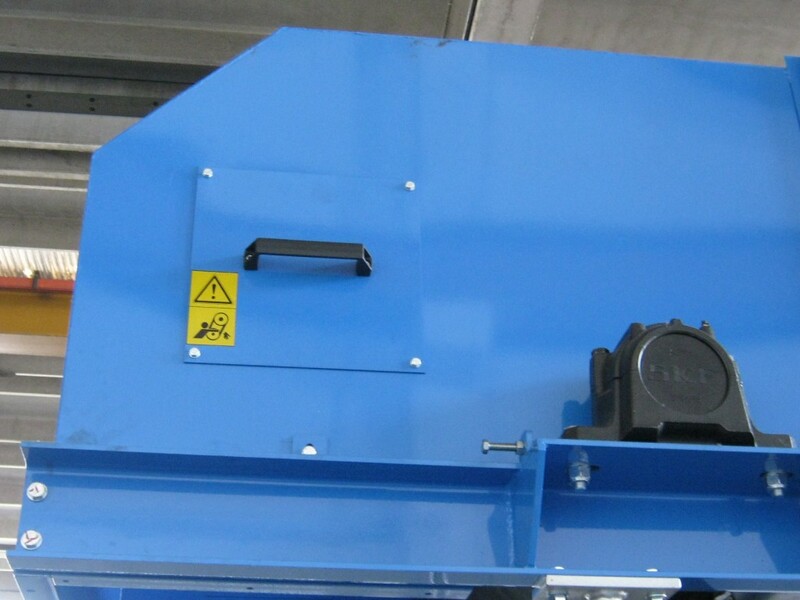 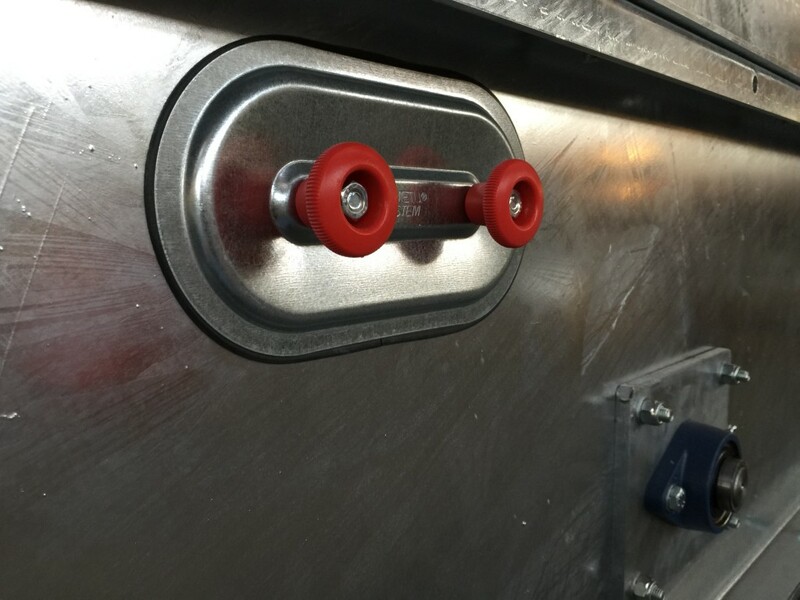 Our fully enclosed belt conveyors are fitted with a 100% dust and waterproof fairing to protect handled material from dust, water, atmospheric, environmental or contaminating agents. 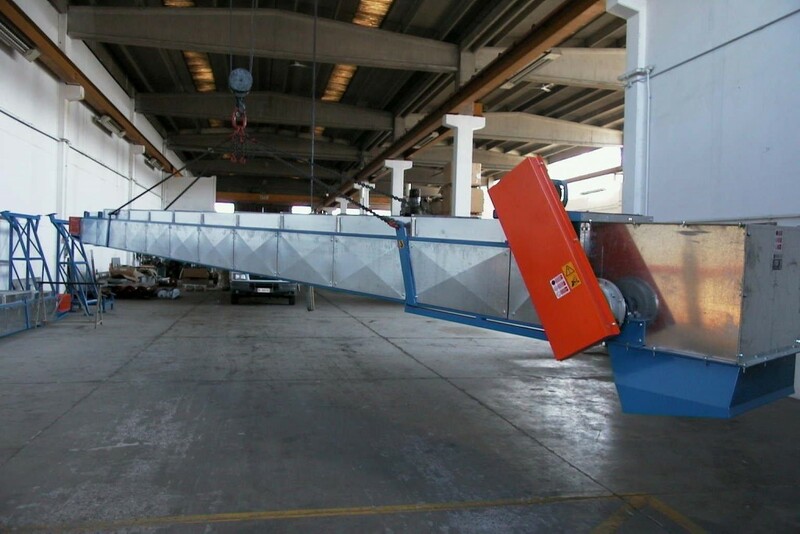 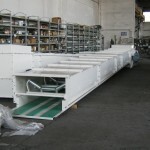 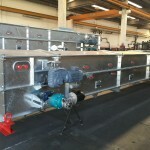 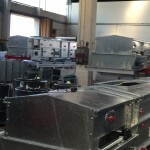 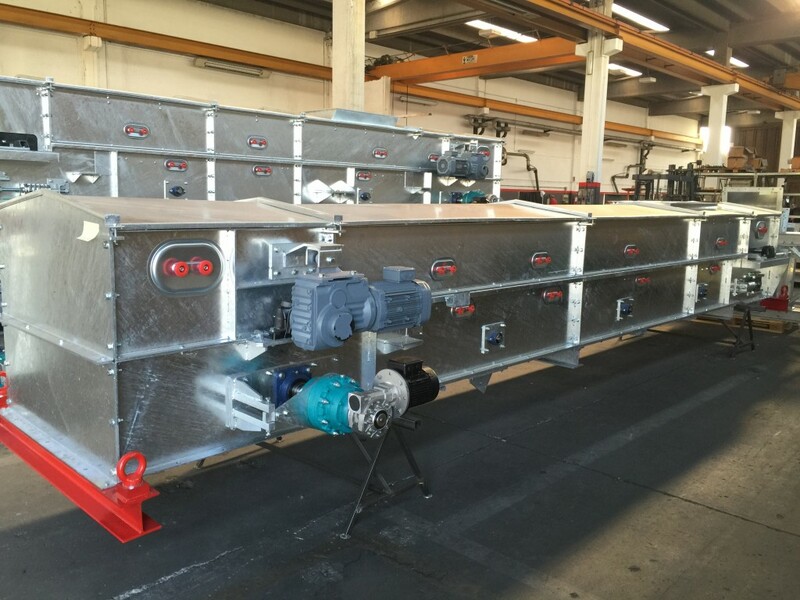 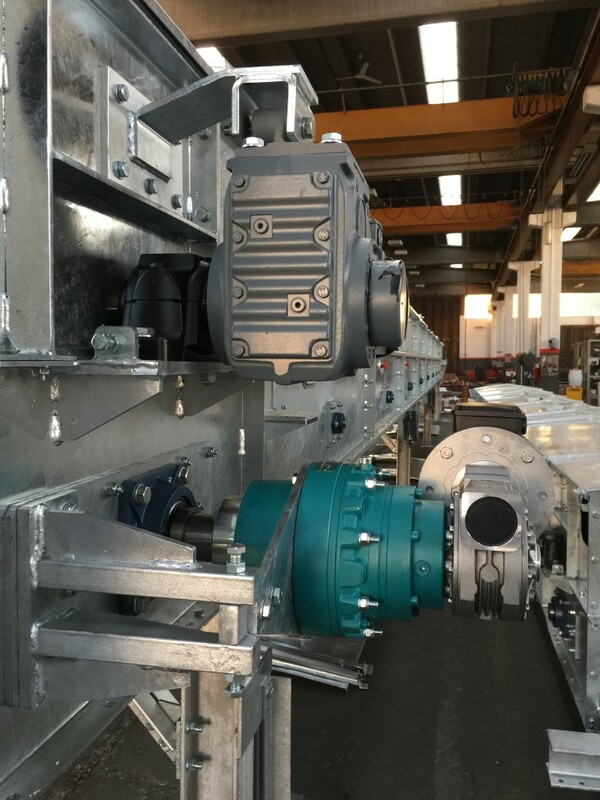 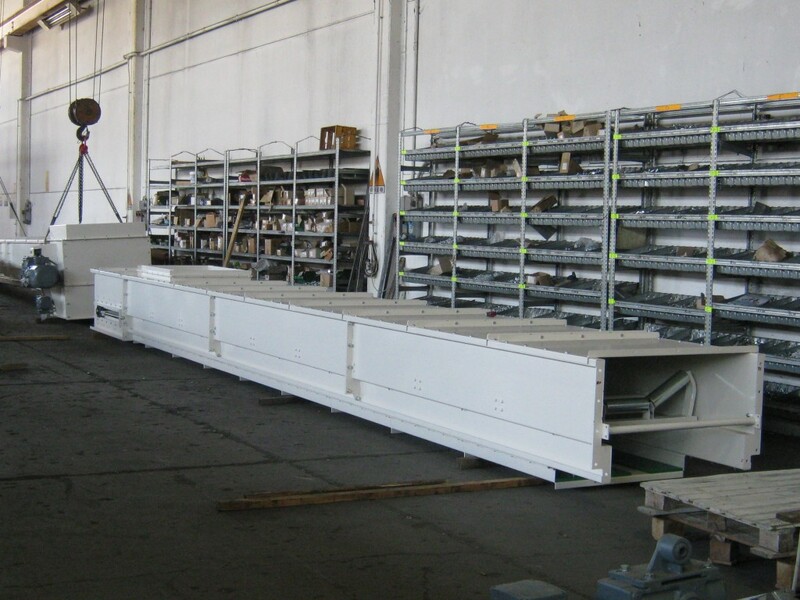 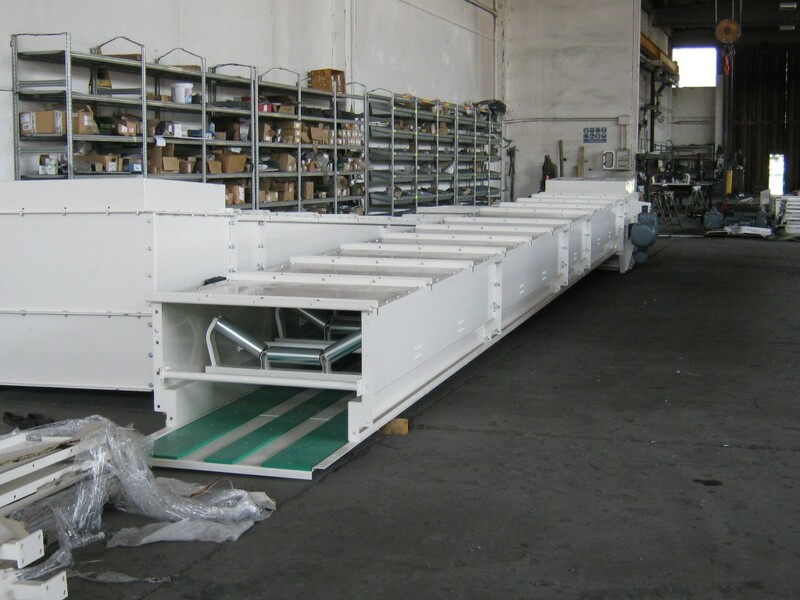 The fully enclosed conveyors made by Unibelt are also designed and manufactured with an integrated chain recovery system, which is fully enclosed as well. 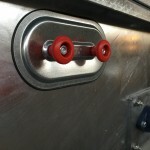 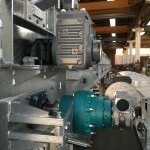 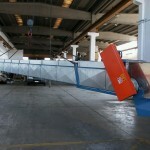 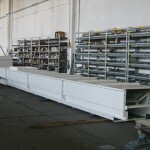 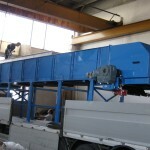 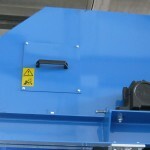 A system that allows for the recovery of powder in the return section. 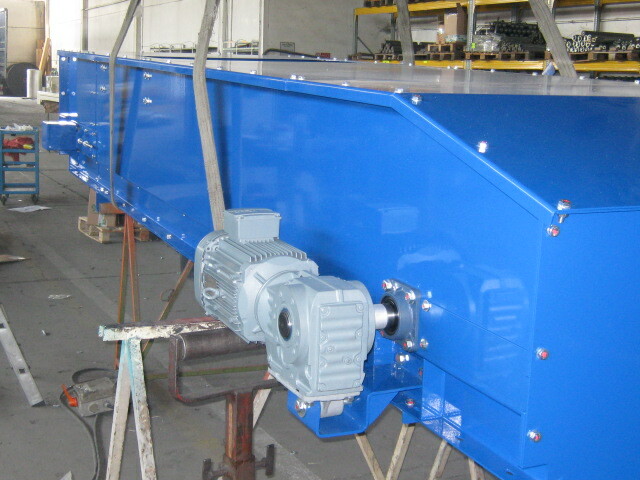 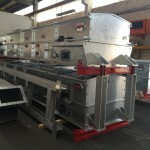 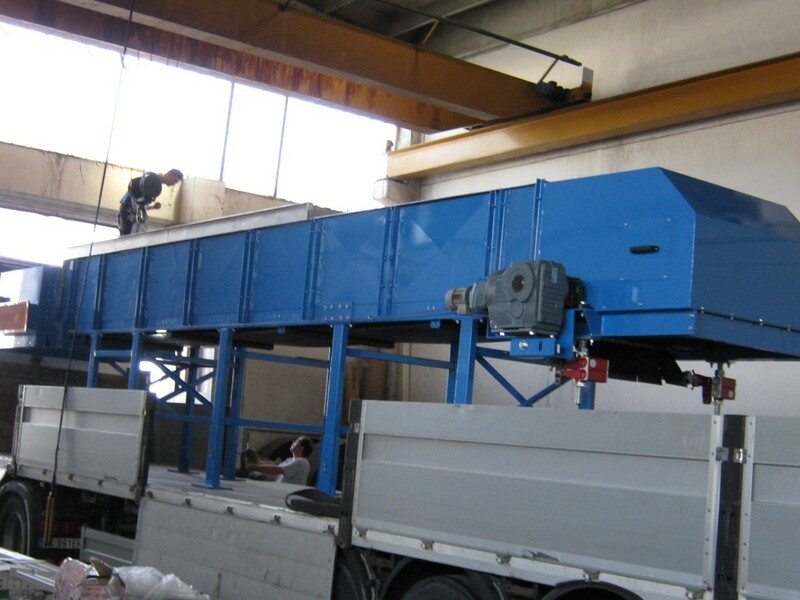 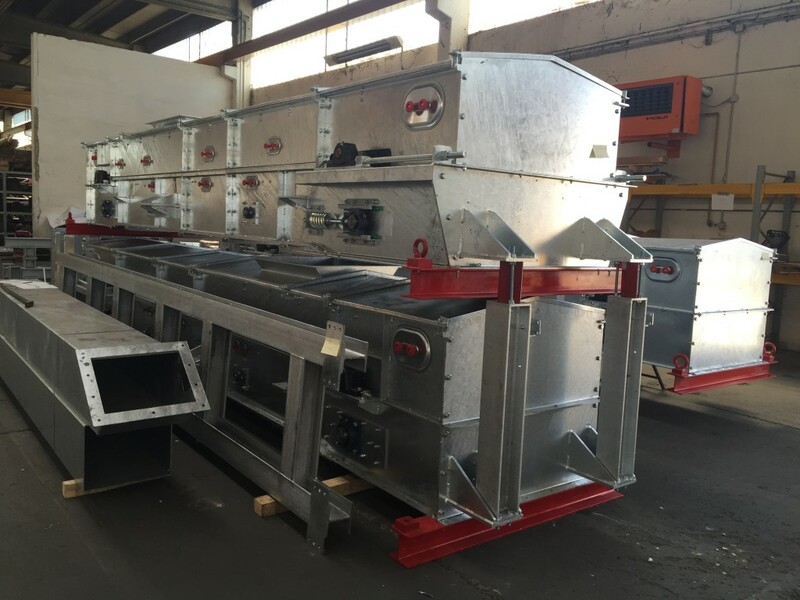 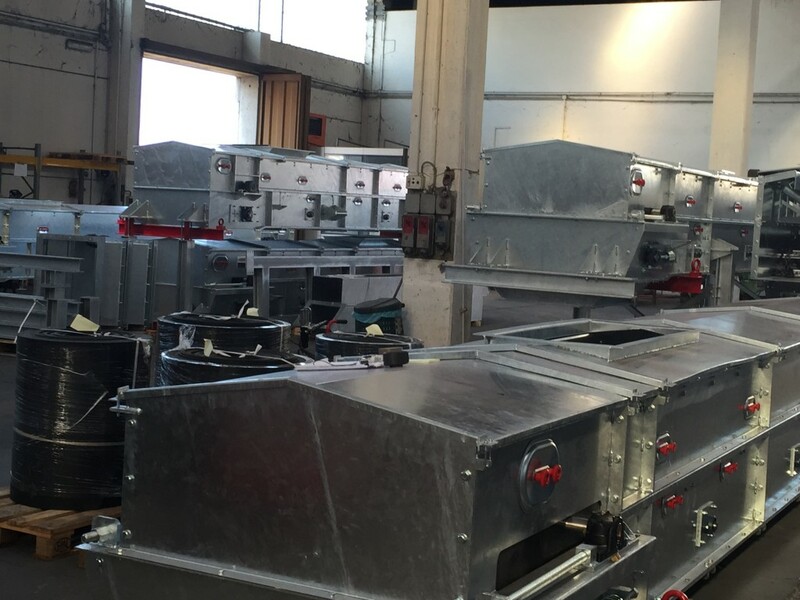 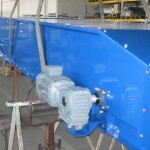 Our fully enclosed belt conveyors are used in cement plants, lime production sites, pre-mixed mortars.